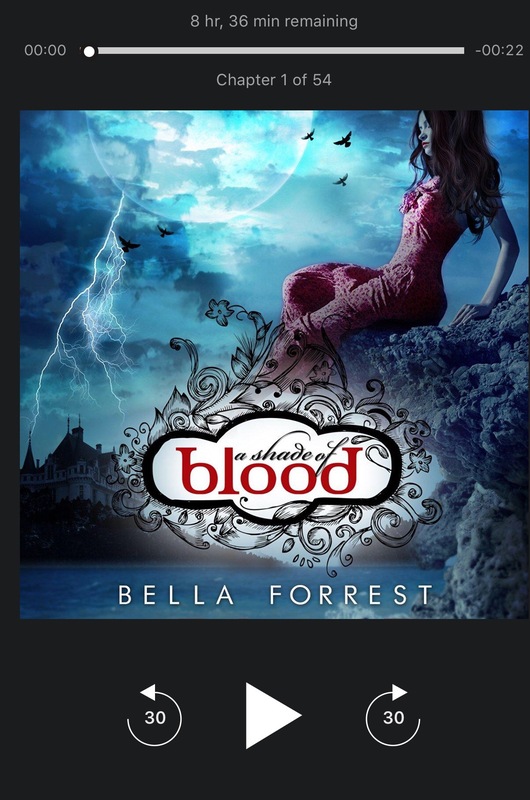 I posted my review of the Kindle edition of A Shade Of Blood in 2013 in this Blog but it wasn’t until years later that I bought the audiobook and it was this week when I finally started listening to it (using my Amazon Echo Dot while I was doing things around my apartment). It was nice to go back to the story of Derek and Sofia and I’m planning on resume reading the A Shade of Vampire Series. It was enjoyable listening to this Audiobook and I especially liked the chapters narrated by males, my favorites being the ones in Derek’s POV. The choice in narrator for Derek Novak was spot on and it made me look for more books narrated by him (I truly loved his taking on the character and his voice, and I think he makes a perfect Derek). Searching in Audible I found out his name is Zachary Webber, and he’s also Christian Grey in the Audiobook version of Grey and Darker (Fifty Shades of Grey and Fifty Shades Darker as Told by Christian) and a narrator in Maybe Someday and November 9 by Colleen Hoover, among other books (I have these other four Audiobooks in my Audible library and I plan on listening to them this year). If you like Fantasy, YA and Paranormal Romance books the A Shade of Vampire series is a good option for you to explore. Look what just arrived in the mail! !